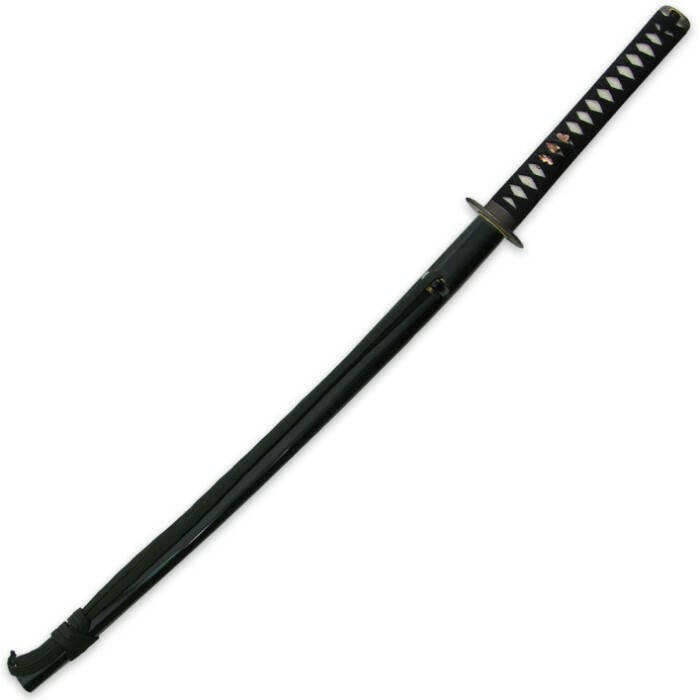 The ever-popular Practical Katana gives the martial artist the opportunity to own and use a Hanwei sword at the cost of an economy sword. The blades are forged and differentially hardened, using the same process as the more expensive blades and producing an HRC60 edge and HRC40 back. The temper line is authentic and prominent. Cost savings are effected by using fittings which, while making no claims to authenticity, are very strongly built to withstand the rigors of cutting exercises in the dojo. Blade length: 27 1/4 in. Handle length: 11 1/4 in. Overall length: 39 1/2 in. Point of Balance: 5 3/4" in. Width at Guard: 1.22 in. Width at Tip: .87 in. Thickness at Guard: .27 in. Thickness at Tip: .18 in. 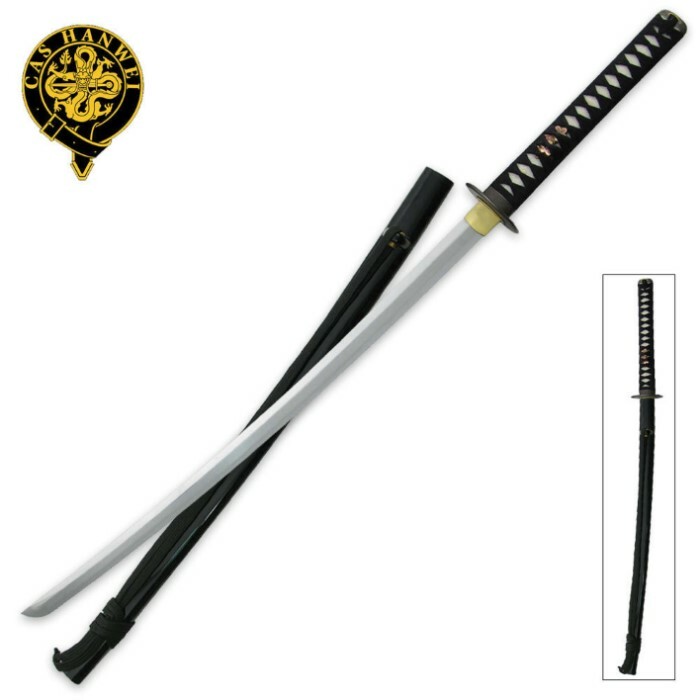 This is merely a high-quality, differntially-tempered steel, functional replica of a Japanese style sword, the best the price-point can dictate. The blade is authentically sharp, not "razor sharp". The fittings and hilt are simple, and not removable. It is an entry level sword for a martial arts practitioner or nacent Samurai wannabe. If you want 12,000-layered, hand forged in Japan from tahamagane, silk Tsuka-ito, rayskin, buffalo horn, and precious metal koshirae... shut-up and fork over your $30,000 USD and get in line to wait 3 years. When you have been adequately trained in the proper use of a Katana regarding protocol, handling, maintenance and care, cutting, stances, grip, and parries, then you have the right to complain to your Sensei about this one's shortcomings. These can be bought for less than some pocket knives... or, even the cost of the steel alone here in the US. I just got this and i must say I have not yet used it in a cutting test. PROS: Its very light weight (lighter than you might think). Its basic looks makes it versital for any warrior and/or decorator. Comes with instruction on how to clean and take care of it. CONS: Came with black spots on the oil looks gross. Sowrd does not have a twist lock/twist free technology saya/sheeth. Does not come with a cleaning care kit. So far I recomend this, However, I will write about this one again in a week after i have had a chance to review it more.